We seem to be on the bear's route. He came back on August 2, 2011 (after our first sighting on July 16). 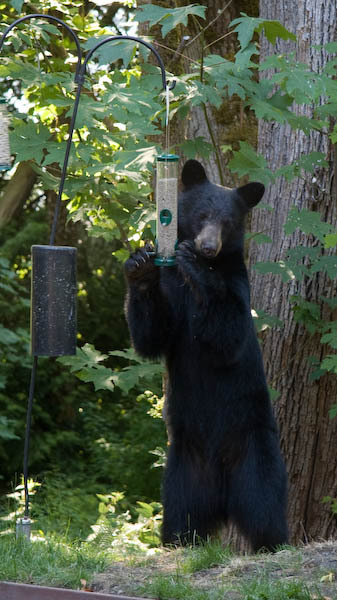 Over the course of four and a half minutes, he ate most of the seed (sunflower chips) from the bird feeder. 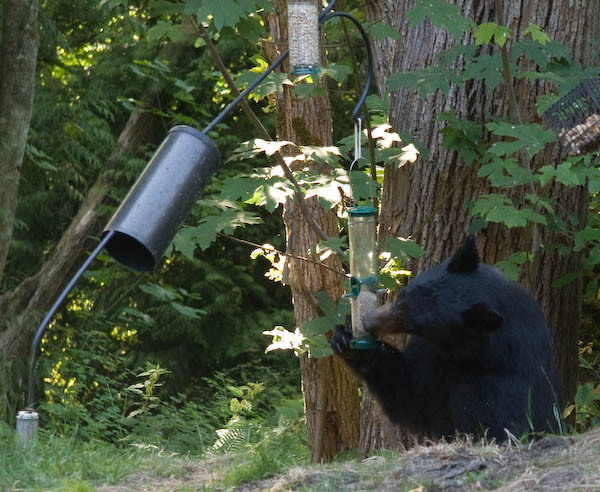 He grabbed hold of the perches on the feeder and pulled it to a convenient height. 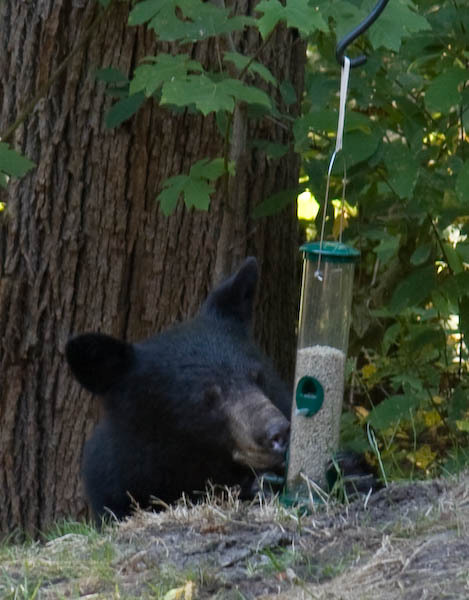 It was amazing to see that he was able to get seed out of the feeder without damaging it. After a couple minutes, he decided to pull it down to the ground and eat from one of the lower openings. 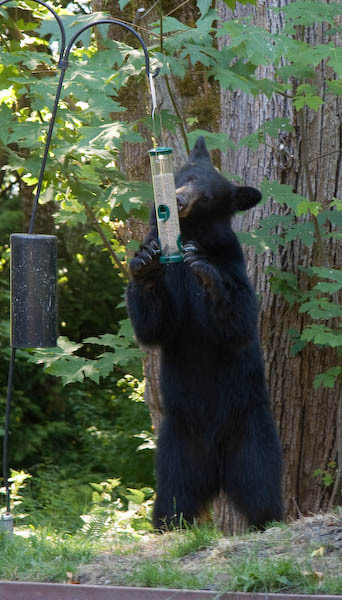 We had hoped that by hanging the feeders with rubber bands, we'd have the bands break instead of bending the pole. That didn't work out. 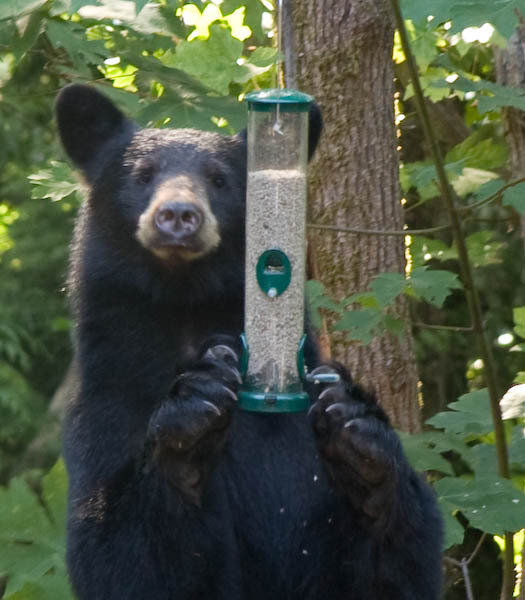 Update... on September 29, the bear found our can of peanuts.